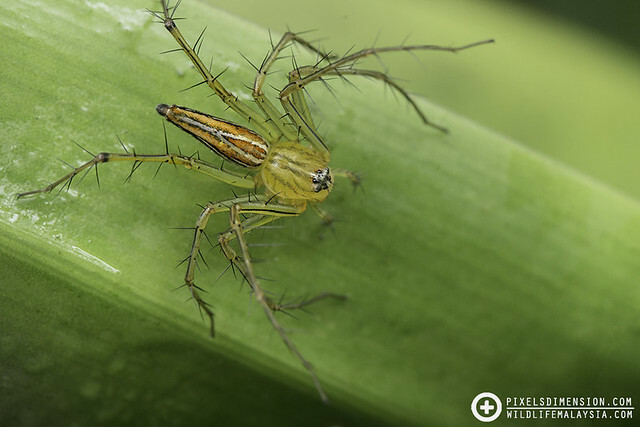 Spiders of the family Oxyopidae are generally hunters that rely on speed and agility to hunt for preys, commonly known as Lynx Spiders. They have unique eye arrangement of 8 that somewhat forms a circle on the “head”. However, they are usually recognized by the presence of spines spatially arranged on the legs, giving a prickly appearance. Some of these Oxypids are remarkably common and abundant even back in the yard, but the more unique and bizarre ones are usually restricted to less-disturbed forests. #1. A female Common Garden Lynx (Oxyopes lineatipes). These common Lynx Spiders can often be found on foliages of shrubs or small plants. They usually lie in wait for prey on the surface of leaves and will quickly dart to the underside when disturbed. #2. A female White Lynx Spider (Oxyopes cf. shweta). 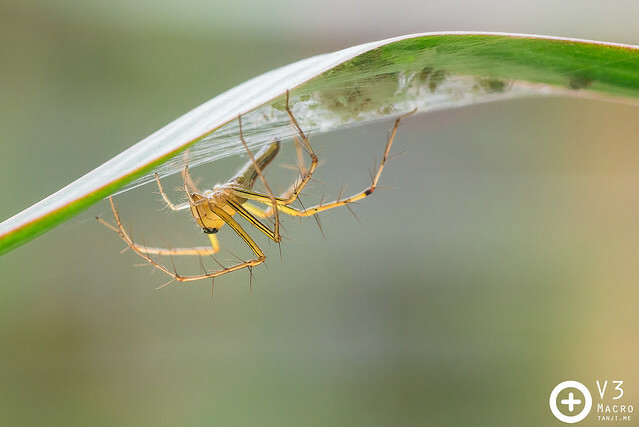 Found this beautiful Lynx spider on a mangrove plant. 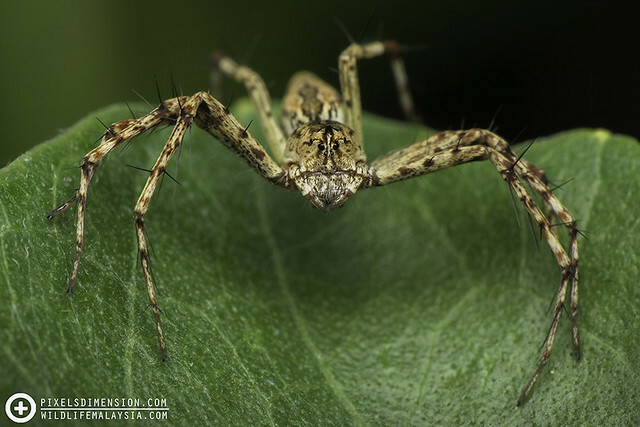 This particular species of Lynx Spider is supposedly widely distributed even to China and India. #3. 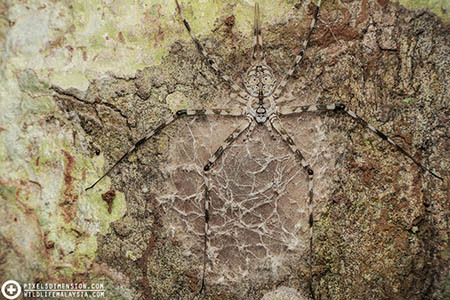 A female Burmese Lynx Spider (Oxyopes cf. birmanicus) feasting on a bee. 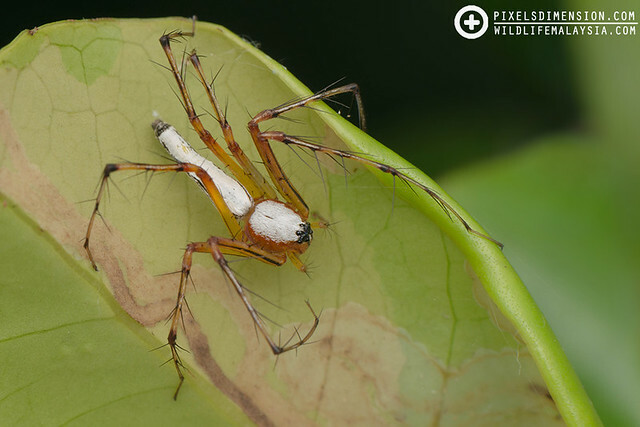 Members of the genus Oxyopes usually have two lines running across the cephalothorax (head), and may sometimes run all the way down the abdomen (tail). #4. 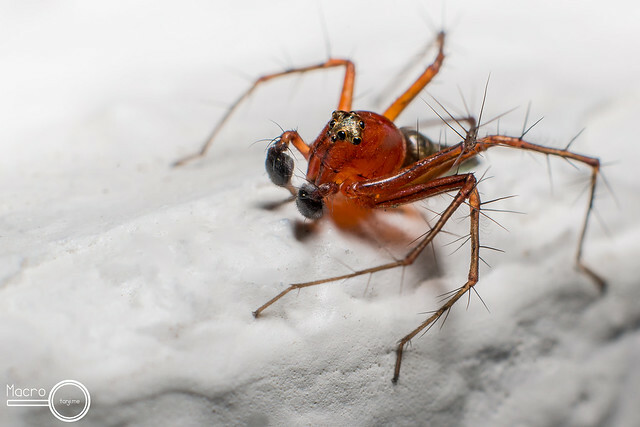 A male Lynx Spider (Oxyopes sp.). 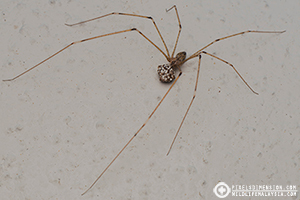 The males spiders of the genus Oxyopes are similarly-sized as the females, but can be easily differentiated by the presence of the two bulbous pedipalps in the front which act as secondary genitalia. #5. A mother Common Garden Lynx (Oxyopes lineatipes) guarding her young. 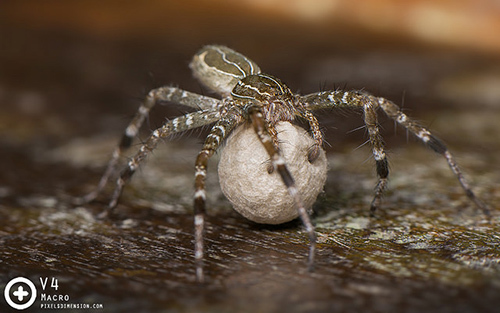 Female Lynx Spiders are devoted mothers and will protect and care for their egg sacs until the hatched spiderlings are old enough to leave home. #6. A female Hamataliwa Lynx Spider (Hamataliwa sp.). Found this orange beauty beside a lily pond, waiting for prey. 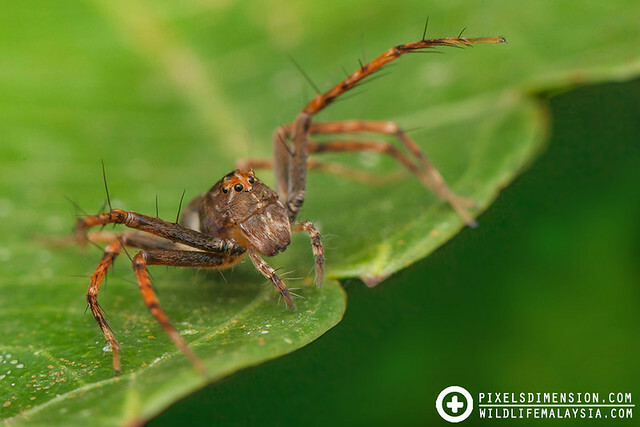 Hamataliwa Lynx Spiders are different from regular Oxyopes by having shorter legs and boxier cephalothorax. #7. A female Lynx Spider (Hamataliwa sp. ?). A fairly large lynx spider, probably waiting for prey to land near it. Wasn’t expecting to find a Lynx spider that’s not an Oxyopes in the garden! #8. 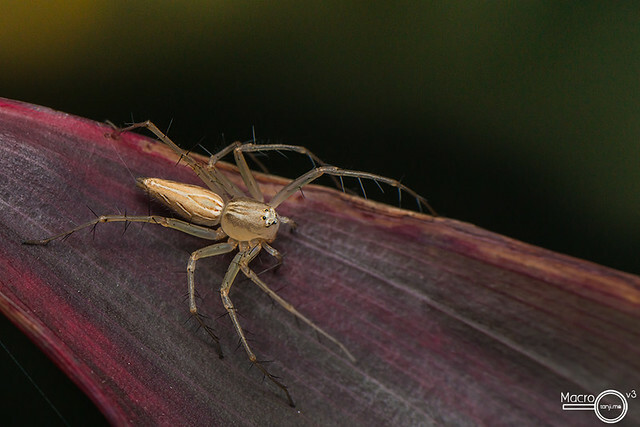 A female, Common Garden Lynx Spider (Oxyopes lineatipes). 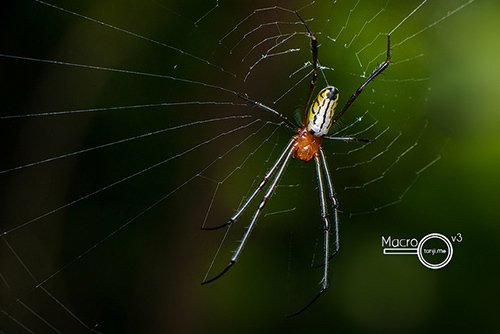 A very common spider that frequents your house garden, keeping the insect populations there in check! 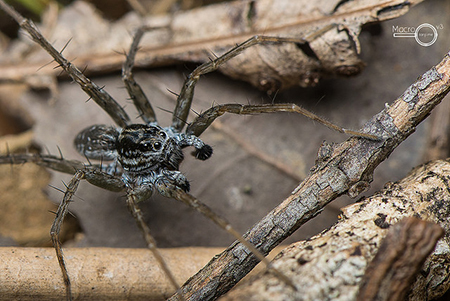 Like Jumping Spiders, Lynx Spiders do not use webs to capture their prey. Most of the time they just sit on or beneath foliages, waiting for oblivious prey to stop by.